For over two millennia in the West, familiarity with the literature, philosophy, and values of the Classical World has been synonymous with education itself. The traditions of the Greeks explain why Western Culture’s unique tenets of democracy, capitalism, civil liberty, and constitutional government are now sweeping the globe. Yet the general public in America knows less about its cultural origins than ever before, as Classical education rapidly disappears from our high school and university curricula. 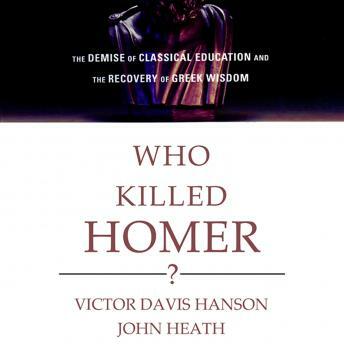 Acclaimed classicists Hanson and Heath raise an impassioned call to arms: if we lose our knowledge of the Greeks, we lose our understanding of who we are. With straightforward advice and informative reading lists, the authors present a highly useful primer for anyone who wants more knowledge of Classics, and thus of the beauty and perils of our own culture.